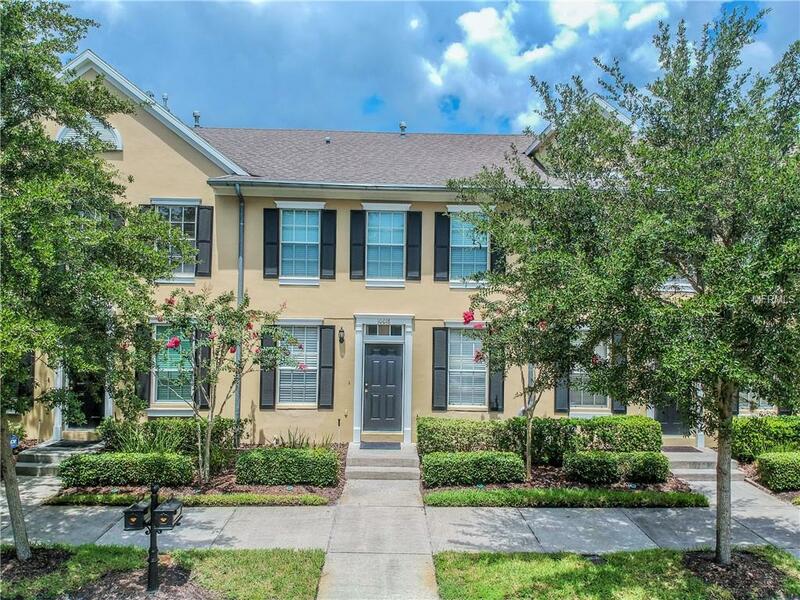 Immaculately updated 2 Beds, 2.5 Bath, 2-car garage townhome with a covered lanai & private courtyard in the highly desirable area of West Park Village, Westchase. No upgrades have been spared, this beautiful townhome features new crown molding throughout the 1st floor & new hardwood flooring throughout the home. Come & see this spacious open concept floor plan, living room/dining room combo w/ large windows offering lots of natural light, breakfast bar & eat in kitchen space. The kitchen features new wood cabinetry with under counter lighting, new quartz countertops with matching subway tile back splash, new stainless-steel refrigerator as well as new kitchen recess lighting. French doors lead out to the large, covered lanai with private courtyard which leads to the detached 2-car garage with rear alley parking & abundant storage. The 2nd floor offers a large master suite w/ spacious master bath featuring new lighting, quartz countertops, wood cabinetry, new tile, new flooring & walk-in shower. The guest bedroom also located on the 2nd floor has its own private/ensuite, updated full sized bathroom. Add features incl updated 1st floor half bath, new A/C, air handler and thermostats, new garage lighting, new courtyard tile & courtyard ceiling fan. Step out your front door and walk to the pool, tennis courts, restaurants, shops, pubs & all the amenities that West Park Village has to offer. Located only 15 min. to the Tampa Int'l. Airport, downtown Tampa & 30 min. to beautiful Florida beaches.